Butch Harmon once called Ben Crane the biggest overachiever he has ever coached, but that's not why one of the game's most famous swing instructors jumped on a private jet and flew across the country from the PGA Merchandise Show in Orlando. Harmon was on the back end of the range early Sunday morning at Torrey Pines in La Jolla, Calif., for an emergency session with Phil Mickelson, whose errant tee balls were sidetracking his 2010 debut. While Mickelson was trying to work it out with Harmon, Crane was going to Bible study, preparing for the final round of the Farmers Insurance Open. After the service Crane uncharacteristically interrupted his normal pre-round regimen of quiet to phone his agent, Tommy Limbaugh, in Orlando. "I don't think I've ever walked out of church and taken a call before," Limbaugh said Sunday night. "We talked about how he was going to execute his process. He was pretty calm going in." He was so calm during the final round that you never would have guessed Crane was staring down pressure, as one by one, the long putts dropped and his opponents fell off the pace. He admitted afterward that he didn't know where he stood, which helps in part to explain how he made the closing 30-inch putt for the win after an inexplicable miss from close to that distance on the 17th hole. The final-hole par helped Crane finish at 13-under 275, one stroke better than Marc Leishman, Michael Sim and Brandt Snedeker. The stage for the victory was set two months earlier, in a meeting the week after Thanksgiving held, coincidentally, at DelMar CC, 10 minutes from Torrey Pines in Rancho Santa Fe, Calif. Orchestrated by Limbaugh and attended by everyone in Crane's camp, including his caddie, his swing coach and his strength and conditioning guys, the sessions included both prayer and power-point presentations. The first page Limbaugh flashed on a screen: Ben Crane, taking it to the next level. "We were motivated and united," says Limbaugh, who organized the session to spur the 33-year-old Crane to end a four-year winless drought. "Everybody had the same heartbeat when we came out of there, and it has been that way ever since." What Limbaugh refers to as "staying in the process" comes not only from his coaching background -- he was an assistant football coach for 21 years at Texas Tech, Ole Miss, Duke, Alabama and Kentucky -- but also from Olympic marksman turned sport psychologist Lanny Bassham. Crane worked hard this offseason at The Madison Club in La Quinta, ­Calif., where the old football coach put him through "two-a-days." Bassham flew in for those, and was with Crane at the Bob Hope Classic, where he finished T-52 in his season debut. The outcome of the Farmers Insurance Open was in doubt until the 72nd hole. By then the tournament's star attractions -- Mickelson (19th) and Ernie Els (T-5) -- had fallen off the pace, leaving Crane to be chased by some of the best young talent on tour. Sim, 25, the 2009 Nationwide Tour ­player of the year, disappointed many by laying up from 246 yards at the 72nd hole and failing to make birdie. Snedeker, third in the 2007 Buick Invitational, and Leishman, the 2009 PGA Tour rookie of the year, both grazed the edge at 18 to tie Sim for second. Rickie Fowler, 21, also made a run after opening his rookie season with two missed cuts and looked comfortable in the hunt playing with Mickelson until a double bogey at 17. Crane kept applying the pressure by hitting greens in regulation, missing only one in his last 22 holes­ -- although he had no idea he was the front-runner. Crane refuses to look at leader boards. "I did not know that I had won when it was over," he said. "I didn't know who was playing well. I didn't know what was going on in front of me. Certainly the cameras followed us most of the day. But I did not know if someone ahead of me had posted a better score." What went on was Crane's third career victory -- and maybe not his last. 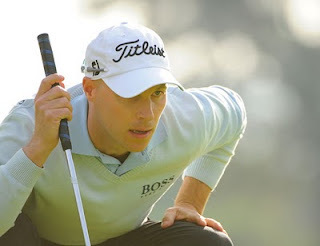 His work with Dr. Greg Rose of the Titleist Performance Institute, both on fitness and simplifying his golf swing, have Crane relatively pain free both in body and mind (a back injury limited him to seven starts in 2007). Not even being falsely quoted about Tiger Woods in a supermarket gossip magazine in December could push Crane, as Bassham would say, off his mark. Crane may have not known he was winning the tournament, but he knows now he is in the Masters and on to better things. Once considered one of the slowest golfers on tour, his pace of play is improving, and he saves time by converting long putts -- he made two from more than 45 feet Sunday, offsetting the miss at 17 that cut his lead to one stroke with one hole to play. This was by far his biggest victory, and while Crane was thanking God for "a sense of peace that surpassed all understanding," he has a less humble competitive side driven by Harmon's description of him as an overachiever. "He would beat his great grandmother at dominoes if he could," Limbaugh said. "He would have no mercy. He would be nice about it, though. He would love her to death after he beat her."